Set of Two Rakhis contain crystal dial with Matte finishing balls and Diamonds Ring decoratives on both the sides along with Packet of Roli Chawal. 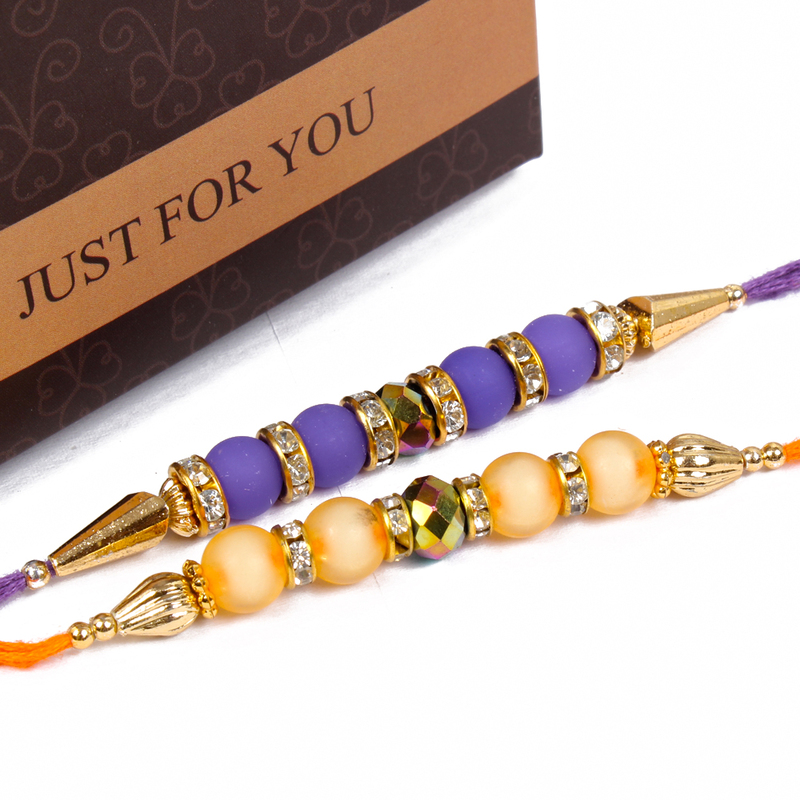 Beautiful Rakhis promises to be a fabulous adornment on your brothers wrist for sure. 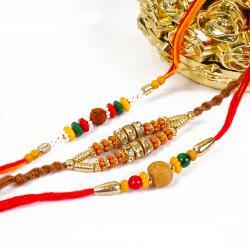 Adorable beads with designer look makes this Rakhi special. The dial of the Rakhi holds the wrist so beautifully that it will make your celebration with the perfection. Matte finishing balls designed Two Rakhi set combination is symbolized for a Positive impact and will bring happiness along this occasion. 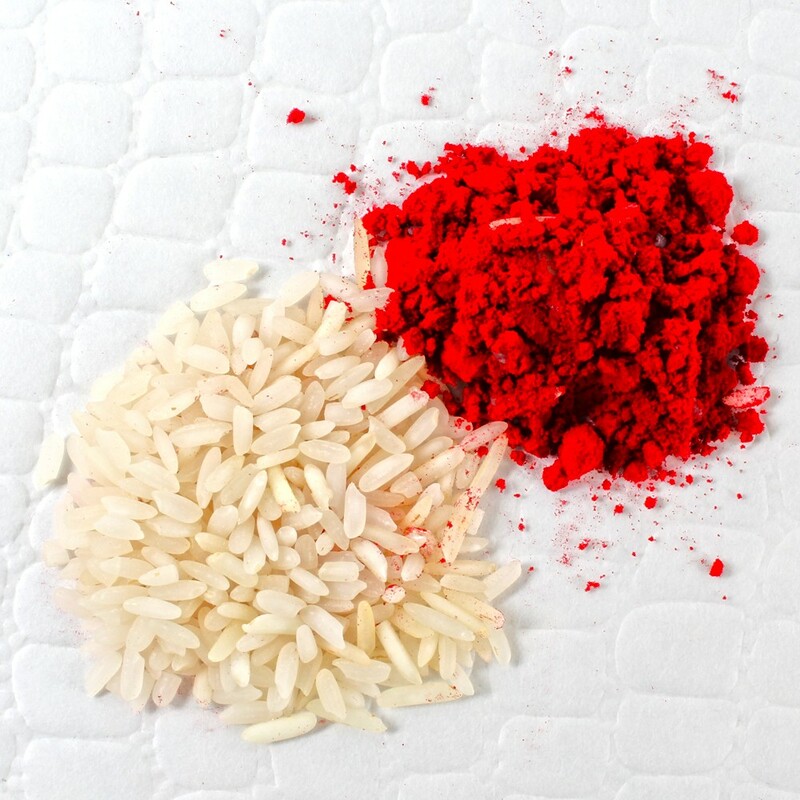 The thread of the Rakhi is very soft and smooth. Gifting this Two Set of Rakhis for your brothers will make them feel special they can easily like to tie as per their choice. 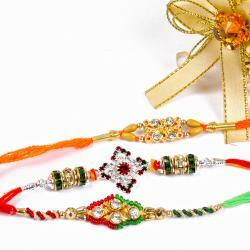 Make your rakhi festival with fun and joy into your siblings life and send utmost blessing to your loving brothers. 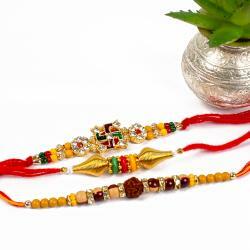 Gift your loved ones a set of beautiful Rakhis for the auspicious occasion for Raksha Bandhan. Product Includes : Set of Two Rakhis contain crystal dial with Matte finishing balls and Diamonds Ring decoratives on both the sides along with Packet of Roli Chawal.